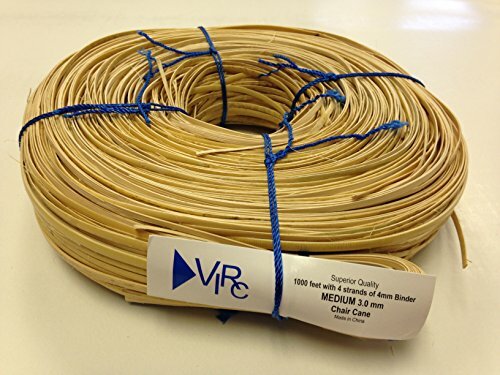 1000 ft coil of Medium 3mm strand chair cane with 4 strands of 4mm Binder Cane. For 1/4" drilled holes spaced 3/4" center to center. V.I. Reed & Cane, Inc. is in its 35th year and 2nd generation as a veteran-owned family business. We are proud to sell our own high quality, Made in the USA basket and seat weaving kits as well as a wide range of other supplies.